A month after his last fight world middleweight champion Gennady Golovkin 38-0-1 (34) has been stripped of his IBF world title. Golovkin defended his WBA, WBC and IBO world titles against junior middleweight Vanes Martirosyan 36-4-1 (21) at the StubHub Center in Carson, California on May 5 after previous opponent Saul “Canelo” Alvarez withdrew from their scheduled fight on the same date after twice testing positive to the banned substance clenbuterol in tests conducted in February. The IBF refused to sanction the Matirosyan fight as the 32-year-old Armenian-American hadn’t fought in two years and was moving up a weight class to take the fight on short notice. Martirosyan had also lost three of his previous six bouts going in to the Golovkin fight. 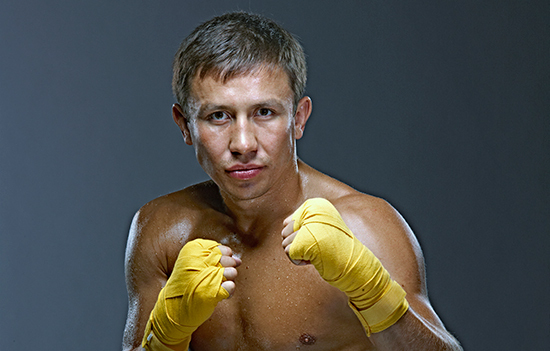 Golovkin was due to defend his IBF title against the organisation’s mandatory challenger Sergiy Derevyanchenko 12-0 (10). At a meeting conducted on May 22 the IBF ruled that Golovkin had until June 6 to agree to terms for a fight against the hard-hitting Brooklyn-based Russian. “After a lengthy review and period of deliberation, the International Boxing Federation has vacated the IBF Middleweight title held by Gennady Golovkin,” the New Jersey-based sanctioning body said in a statement on Wednesday. “The IBF had to enforce the penalty under Rule 5H for Golovkin having participated in an unsanctioned contest within his weight class and declare the IBF Middleweight title vacant. The number two position in the IBF rankings remains vacant, while the rest of the top ten is as follows: 3. Daniel Jacobs (USA); 4. Jermall Charlo (USA); 5. Demetrius Andrade (USA); 6. Tommy Langford (ENGLAND); 7. Martin Murray (England); 8. Rafael Bejaran (Dominican Republic); 9. Kamil Szeremeta (Poland); 10. Luis Arias (USA).